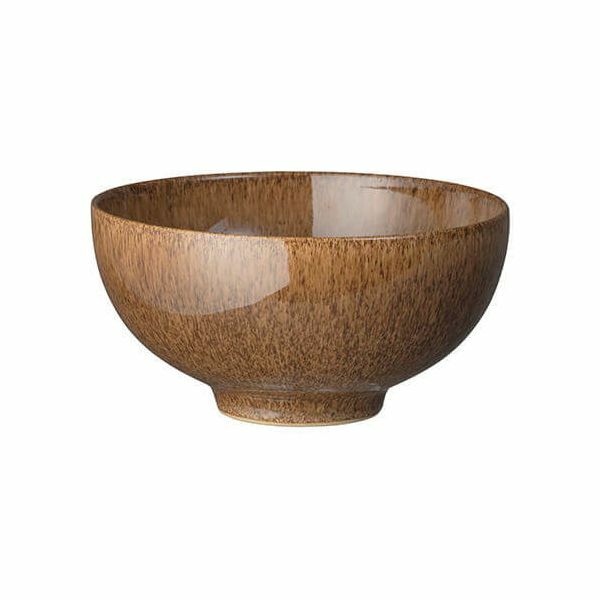 The strong woody tones of this Denby Studio Craft Chestnut Rice Bowl can be mixed and matched with rice bowls in three other earthy tones for a truly artisan look. 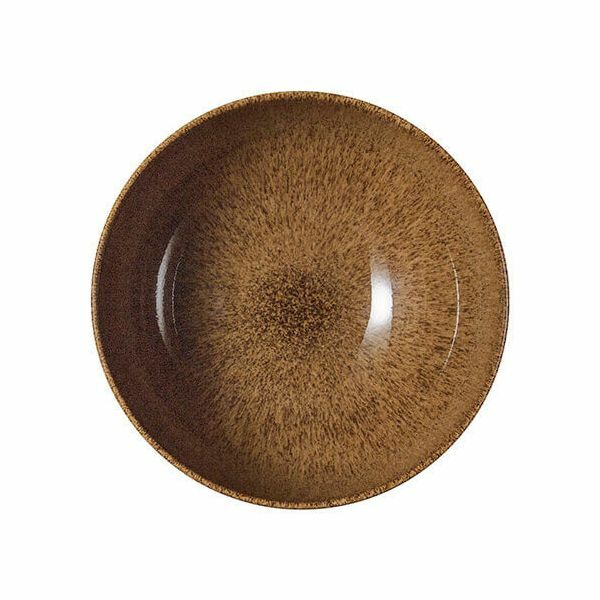 The tall, footed design of the Rice Bowl makes it more of a statement piece than a conventional bowl, ideal for eating and serving, framing your food and providing a contemporary twist. Made in England at the Denby Pottery from locally sourced Derbyshire clay, each item has a unique finish due to the reactions that occur during the glazing process. Dimensions: Diameter 13cm. Depth 6.5cm. Capacity 480ml.